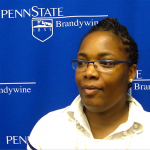 Ronika is a Student Affairs professional who loves working with college students. She became passionate about sexual assault & abuse after her own experience as well as the experiences of close friends and family. Ronika is a mother, a wife, and a self-proclaimed super hero.